On December 22, one day after the Winter Solstice, an exquisitely positive FULL MOON in Cancer invites you to explore your life from a brand new perspective. It’s the FINAL lunation of the year signifying the message we need to hold in our hearts as we cross the threshold into 2019. 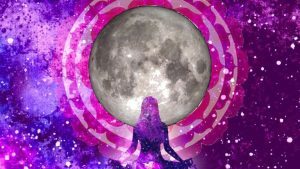 Due to the timing right after the Solstice the impact of this Full Moon is increased – especially since a solstice creates the birth chart for the next three months (until the Equinox in March). Cancer governs your HEART and is the sign ruled by the Moon! There is a major focus on your home, family, your roots and ancestors, Soul family, and intimate relationships. Also, it’s is the second of five consecutive full moons at 00°!